A distance learning course for anyone interested in the emergence and growth of the phenomenon of religion and its social and political implications, giving a historical background to today’s debates, controversies and news. Total recommended period of study: approx. 3 months or less. Continuous enrolment. No time limit. Textbook discount for UK students: We will give UK students a discount of £25 if they purchase the Kindle edition or a used of the textbook from Amazon or if they already have a copy. Discount must be requested at time of enrolment. If no discount is claimed a free new copy of the book will be sent. Textbook study (distance learning). Written assignments based on textbooks and exercises. Assignment questions are issued by email and students return their written work by email. Grades and feedback are issued by email. This course focuses on the world-wide development of religions throughout history. The enormous diversity of religion is revealed as well as its ability to develop and take new forms in response to changes in society, war, conquest and colonization. Against this background, accurate and concise portraits of faiths and aspects of religion are presented. Religions are understood in the context of diverse worldviews and secular worldviews such as Marxism are also introduced. Ancient and classical religions covered include those of South Asia, China, Japan, Southeast Asia, the Pacific, the Americas, the Ancient Near East, Persia, Greece, Rome, and Africa plus Christianity, Judaism and Islam. The post-1500 period covers the Reformation and European changes in Judaism and Christianity, religion in N. America, post-WWII religion, modern religion and ideology in S. Asia, China, Korea, and Southeast Asia, Japan and its new religions, Islam and modernization, Pacific religion and colonialism, Religion during and after the Soviet Union, changes in African religion, and developments in Latin America and the Caribbean. A final section reflects on twentieth-century changes and argues for a pluralistic religious education. Extensive notes, glossary, timelines and bibliography are provided. The key text is profusely illustrated with photographs and vocabularies of key terms make the text more accessible. No specific religious conviction is necessary in order to study and enjoy this course, and those of any faith or none are welcome. It is open to all who seek a wider and deeper understanding of the role of religion in society and its history and development. The power of religion to govern people's actions and to motivate people to acts that dominate many of today's headlines can only be understood by appreciating that historically, religion and ideology have driven human behaviour, sometimes to extremes. Smart, Ninian. The World’s Religions. Second Edition. Cambridge University Press, 1998. (A free copy will be sent to UK students - see notes above if you do not want this option). No particular qualifications are required for entry. 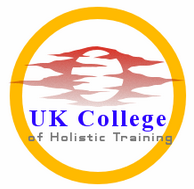 Successful graduates will receive the Advanced Diploma in World Religions awarded by UK College of Holistic Training which is a private UK qualification.